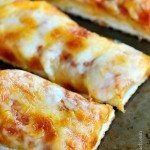 Stromboli makes an easy family favorite recipe! 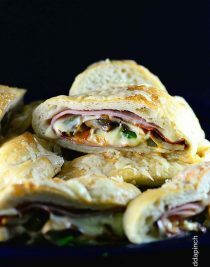 Stuffed with meat, cheese, and vegetables, or whatever you prefer, a stromboli is then rolled and baked to perfection! Stromboli is traditionally made with Italian bread dough, but I fell in love with the stromboli served at a pizza restaurant we love. There, they make their stromboli using pizza dough, which my son prefers more than the bread version. So, now, in our house, this is how we make our stromboli, too! I begin with pizza dough. For this, I love to use my homemade pizza dough recipe and like to keep a stash of it in my freezer. I just let it thaw in the refrigerator overnight. But you can also use a pre-made pizza dough from your grocery store deli. Then, I divide the dough in half, press it out like I’m making a pizza, fill it up, roll it, making sure to fully enclose all of the ingredients and bake it until it lightly browns. Then, I slather them down with my special little bread topping, return them to the oven for just a bit and voila! Once they have cooled a little bit, I slice them into large slices and watch them be devoured! 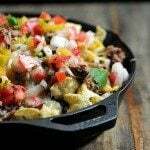 If you have hungry fellas around your house or are looking for an easy as can be recipe to serve while watching the game at home or tailgating, let me tell you, this is it! 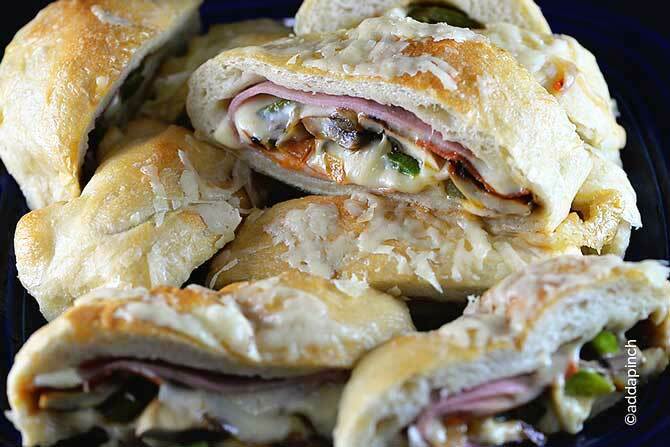 Here’s my Stromboli Recipe. I know you are going to just love it! 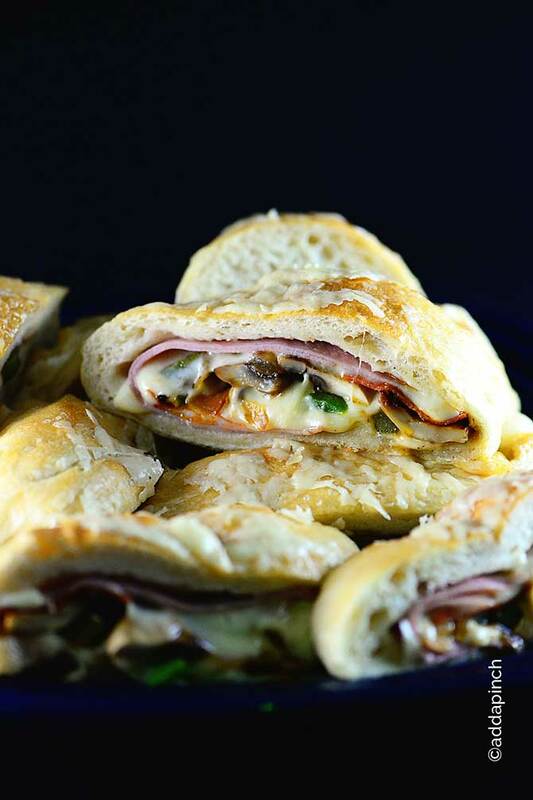 Stromboli makes an easy family favorite recipe! 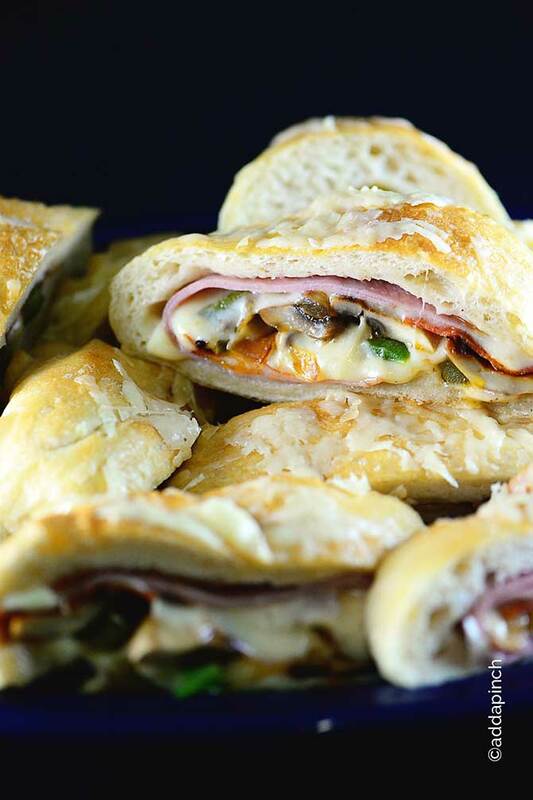 Stuffed with meat, cheeses, and vegetables, a stromboli is then rolled and baked to perfection! Preheat oven to 350º F. Line rimmed baking sheet with parchment paper. Divide pizza dough in half and spread out on parchment paper. Set aside. 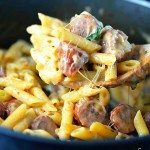 Add sausage to skillet over medium heat. Break apart with a wooden spoon and stir in onion, garlic, and all peppers. 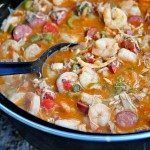 Cook until the sausage has browned and cooked throughout and the vegetables are tender. Remove from heat. Spoon half of sausage mixture, draining off as much of the excess drippings as possible, on one dough and the remaining on the second dough. Add ham, pepperoni, cheeses, and spinach to the sausage mixture and then roll the dough into a cylinder. Bake for 15 minutes and remove from the oven. Mix melted butter and minced garlic together and brush on top of the stromboli. 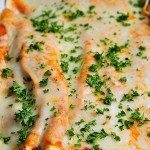 Sprinkle with Parmesan cheese and return to the oven for 5-8 more minutes to brown. Remove from the oven and allow to cool for about 10 minutes. Then slice into thick slices and serve. Love this. It’s been a while since I’ve had Stromboli, now I’m totally craving it!! I love stromboli and haven’t had it in a while. Can’t wait to try this recipe. 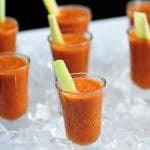 This looks so incredibly yummy! I love stromboli! And hey, no shame in using store bought dough! It’s one of my favorite shortcuts too! This looks awesome…what a great idea! This would be great at a party for sure…thanks for sharing! This turned about wonderfully! The combination of ingredients is perfect. My family thoroughly enjoyed it. Thanks so much! Hi do you think this could be made ahead and kept in the fridge or freezer until baking day? Thanks! I think it will be fine to make the day before and refrigerate until baking. If you freeze them, just let them thaw completely in the fridge before you bake. Enjoy them, Marianne! Thanks!